Selling a vehicle isn’t always as easy as we first think. 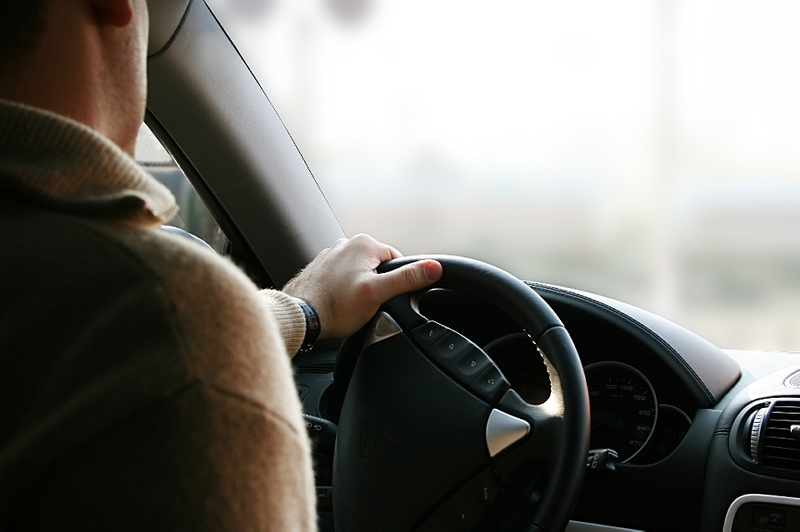 There are a lot of different methods that can be used to sell a vehicle and with each of these different methods comes different possible outcomes. Some of these outcomes involve the successful sale of the vehicle while others involve nothing but problems and headaches. The difference, of course, is in which method is used and how we go about using it. Before people began selling their vehicles online, it was typically straight forward. We would simply drive on over to the used car lot to get an offer, place a for “sale sign” in the window of the vehicle, or place an ad in the local paper’s classified section. One of these methods would usually end up working but it usually took much more time than anyone wanted to wait. Then the World Wide Web entered the picture and changed the way we buy and sell everyday items, including our vehicles. The Internet is, by far, the most effective method used to sell vehicles today and for very good reason. When you place an ad in the local classifieds, or place a “for sale” sign in the window of a vehicle, the possibility of a final sale is limited by the number of individuals that actually become aware of the sale to begin with. To put it plainly, when more people are aware that a vehicle is available for purchase, the possibility of it being sold increases exponentially. When you think about it, it makes perfect sense. The Internet isn’t called the World Wide Web for nothing. When you place an ad on the Internet to sell a vehicle, it’s ability to be viewed is only limited by the number of people with the ability to use a computer to get online. Now the “for sale” ad that was once limited to the local community is available for viewing by those in the entire state, country, and world. While the ad being viewable by the entire world wouldn’t make much of a difference, when selling a vehicle, it being viewable by the entire state as well as surrounding states would. You’d be surprised at just how far people are willing to travel to take advantage of a great deal on a good vehicle. In fact, it isn’t uncommon to find people willing to travel from several states away just to pick up a vehicle that they purchased online. So now the question becomes how do we successfully sell a vehicle online and get cash for it? The answer to that question is actually much easier than you might think. There are a number of great websites that offer assistance with the sale of used vehicles. Most of these websites are geared towards individuals who want to personally sell their vehicle without having to deal with a middle man. 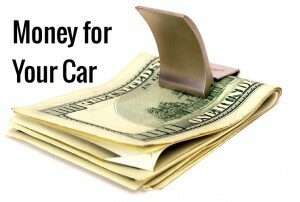 Finding, and using, these sites is the best way to sell your vehicle for cash. In most cases, you will be able to do enough research online to make a decision on whether or not that particular site will work for you. As a last resort, you can always enter the site name along with the word “reviews” into the search bar to bring up customer reviews on the success or failure of their attempts when using the website. The main thing to keep in mind is that, when it comes to the Internet, there are always other options. You never have to feel rushed into using one particular website if you are not comfortable with it. One thing to consider is selling your car to a local used car dealer. Your car should be in good shape and not a junker because put yourself in the dealer’s shoes – they are going to have to try to sell it, so there should be some demand for a vehicle that they want to buy. If you do sell a car to a dealer, just know that you won’t get very much for it. Again, they have to fix it up and then market it (advertise it) and sell it. They have to pay for the electricity at their lot. They have to pay a salesman. They have a lot of expenses. If you think your car is worth $5000, then only expect to get maybe $2500 to $2700 for it at the most. This might not be the best option but if you need some quick cash for your car, then it’s one of the few options you have. To really get the most for your car, you’re going to want to sell it on your own. It’ll take more time and more work on your part but you’ll walk away with more cash than if you sold it to a dealer. Another option you have is to just junk your car and get cash for it. You can sell your junk car for cash if you want if you take it to a junk yard or place where scrap metal is bought. You won’t get a lot for it but if you need cash in your pocket, this is definitely an option. Yet one more thing to mention is donating your car to charity. No, you don’t walk away with cash but you will walk away with a receipt and that receipt is good to show that you made a donation to a charity and you can use this as a deduction on your taxes (a write off). Make sure the charity is registered as a non-profit organization or else you won’t be able to deduct it. The great thing now is that it’s much easier to sell a car than it used to be. When I was a kid, all there was were classified ads in the newspaper, hanging up signs at grocery stores and used car dealers. Today, you can do all of that AND also sell your car online. People don’t even have to leave their homes and they can find your car either on their computer or smart phone. That’s amazing if you think about it! But to get some quick cash for your car, just posting it on Craig’s List might not be enough. It might not work fast enough. Sure, that’s a good place to start and you might try it for one weekend but if you need money faster, then we’d suggest going to a car dealer or scrap yard. Those are your best options. If you have any comments or questions about this article, please leave them below and we’ll do our best to answer them. Please also be sure to like and share this article in your social media! This entry was posted in Cash for Your Car and tagged finances, Money, places that buy cars for cash, sell my car for cash, sell my used car for cash, Selling A Car by TC. Bookmark the permalink. That’s really interesting that there are so many venues for selling your car now. I bet you could get a good deal for your vehicle at a dealer. If your vehicle has lost its conventional value, consider junking it. I like how you recommend scrapping your car if you need cash. It really is a great thing to do to sell your vehicle to a scrapper or salvager because they can take the parts that still function and then use those to benefit other clients. It’s a way to not only put some money in your pocket but also to help others who are having car troubles and need an affordable solution to their concerns. That sounds useful that you can take your care to a junkyard to scrap it. Some of the parts will be valuable, and anything else can sold for the metal it’s made out of. Often junkyards buy metal by weight. Thanks for your tip to get cash for your junk car by selling it to a junkyard. I didn’t know that people do buy scrap metal from broken down vehicles. My brother has a very beat-up, old junk car, and he is considering scrapping it for money. Thanks for explaining my options for getting some cash out of my old car. I’m not sure that it would be worth much as a trade-in, but it is still useful as scrap metal. I would rather get paid for the value of the metal than leave a broken car sitting in my driveway. The cash I make could help me get a new car.